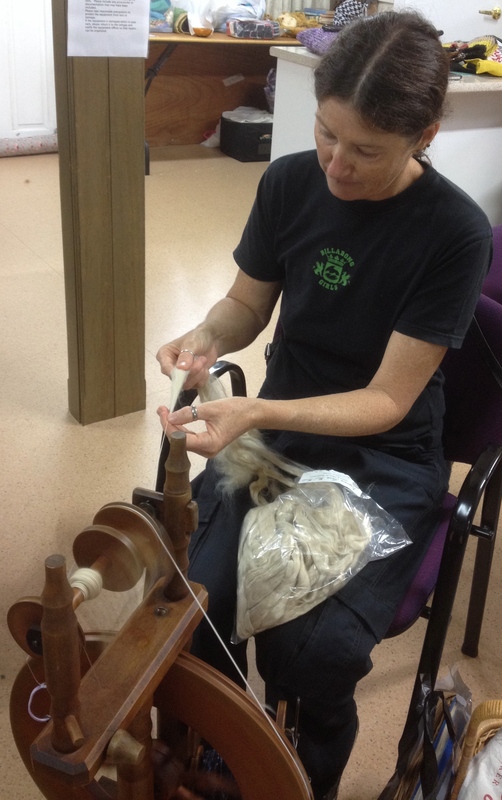 Here I am spinning some Tussah silk. It is really quite easy to spin and to spin finely and evenly. I also tried spinning soy silk which looks and feels fairly similar but I found it not quite so easy to spin. It was still relatively easy, but just not like the silk. I am going to use the silk to ply with some chunky wool which I think will look really lovely.